Samsung is trying to creep into our bedroom to monitor and improve our sleep with an Internet-of-Things device called SLEEPsense. Announced at the IFA technology show in Berlin, SLEEPsense is being developed in conjunction with medical device manufacturer EarlySense. Samsung has already launched its latest-generation smartphones with the Galaxy Note 5 and Galaxy S6 Edge+ and now the company seems to be focusing on the Internet of Things (IoT) with a SLEEPsense gadget. SLEEPsense provides sleep reports and offers expert suggestions through a mobile app on how to improve sleep. 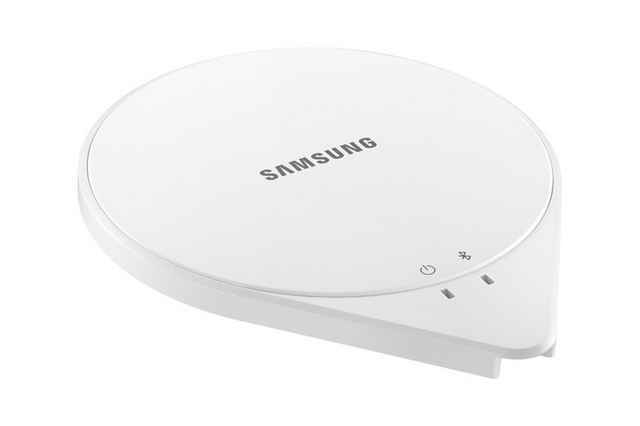 It will be one of the first IoT products from Samsung following its SmartThings acquisition that promises some neat functionality. The sensor is designed to fit under a user's mattress and connects wirelessly to an app on their Samsung smartphone. The makers claim that the sleep tracker is almost 97 percent accurate with regards to how it monitors their sleep, movements and sleep patterns and then compares a score for how well users have slept against the average for their age. Perhaps the best part of SLEEPsense is the fact that it can control other connected devices in a user's home by communicating with products like air-conditioning units, lights and televisions. For instance SLEEPsense can connect to an air conditioner to maintain an optimum sleep temperature or it can turn off the TV automatically when users fall asleep. Samsung's SmartThings app controls the SLEEPsense, plus compatible thermostats, security cameras and lightbulbs. Interconnected home devices hold great potential and can substantially increase comfort and convenience for users, which is what Sleep Sense, intends to do besides its core functionality. Additionally, Samsung's upcoming IoT-enabled sleep tracker also has EarlySense technology, which enables it to detect the user's breathing rate and heart rate while asleep. The EarlySense technology has already been approved by the FDA. Using a companion app, users will be able to monitor all Sleep Sense stats in real time. The app can be downloaded free of cost. Samsung is expected to release SLEEPsense later this year in its home market of South Korea, as well as other global markets. The company has yet to provide details regarding pricing and availability, but should provide more information shortly. The IFA 2015 trade show begins this Friday, Sept. 4, in Berlin, Germany, and runs through Sept. 9. Apart from SLEEPsense, however, it remains to be seen what other exciting devices Samsung will have to showcase in the trade show. Sweet Business, or Your Very Own Personal Chocolate Factory ?